Manual lymphatic drainage (MLD) is a specialised massage technique that should only be practised by trained therapists. 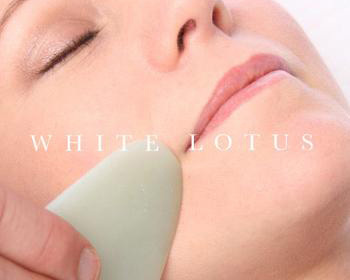 (MLD) is a type of gentle massage which is intended to encourage the natural drainage of the lymph, which carries impurities away from the facial tissues giving your skin youthful glowing and healthy look. Through-out the Chinese dynasties Jade was classed as an “Imperial Gem” and this semi-precious stone is still considered to be one of the best holistic healers. It is known to soothe the mind and release negativity, so the rollers are the perfect tool to perform a balancing and relaxing treatment. Our rollers are handmade of solid jade and the properties of this mineral mean that it has a high level of thermal conductivity; this has the effect of making it efficient at conducting the heat away from the face. When you roll the jade over your skin you will experience how cool the stone is, my clients love the fresh feel of the stone. Creams or Oils: You may have your own particular brands that you prefer to use or use one promoted in our clinic. We use natural collagen cream and Green Tea Serum. 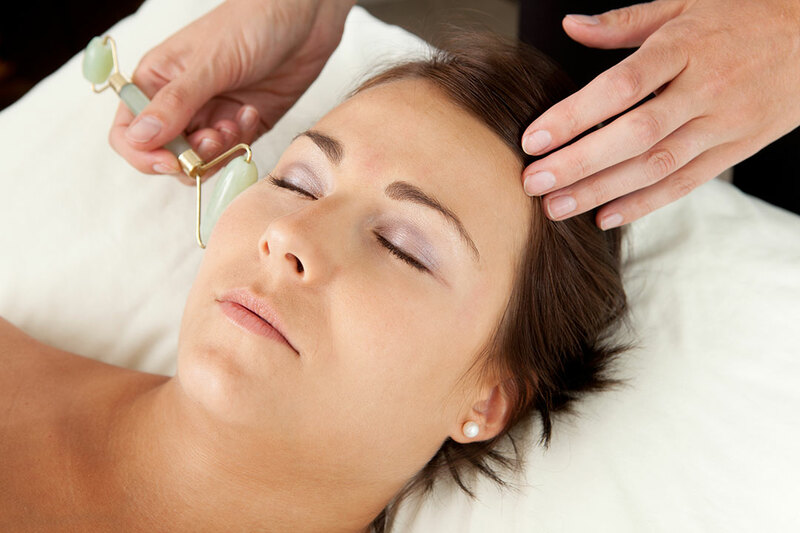 Jade Gua Sha Tool: This is utilised as part of our Jade Roller Facial Enhancement treatment.